This week is Otago Anniversary Weekend. Otago being the name of the Province I live in. This year we are celebrating 150 years since Gabriel Read, newly arrived from the Australian goldfields, discovered gold at what is now named Gabriel's Gully, on 20th May 1861. At that time Dunedin was a small, predominantly Scottish settlement. 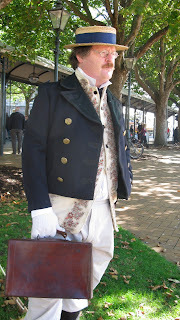 The gold rush that resulted from Gabriel's discovery turned Dunedin into a thriving, prosperous city. 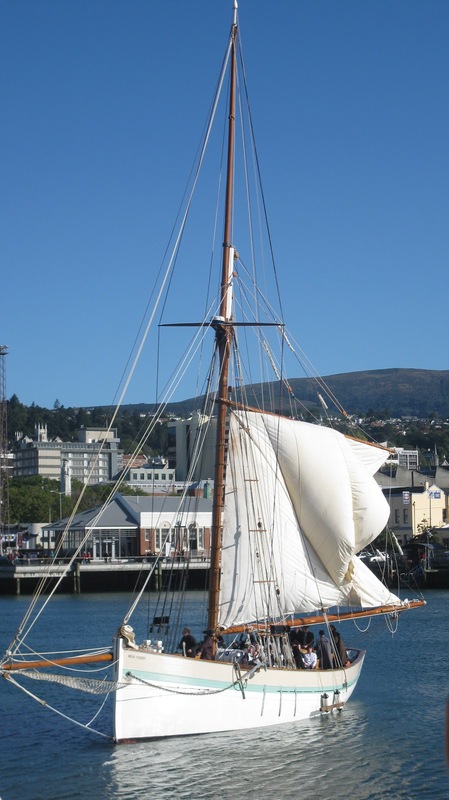 Miners flocked to Otago from all parts of the world and Dunedin was their first port of call. Along with the miners came merchants, publicans, bankers, police and servants. 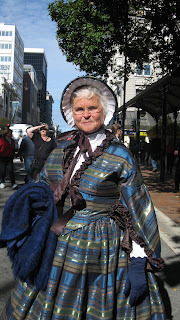 And Dunedin became the wealthiest city in New Zealand. 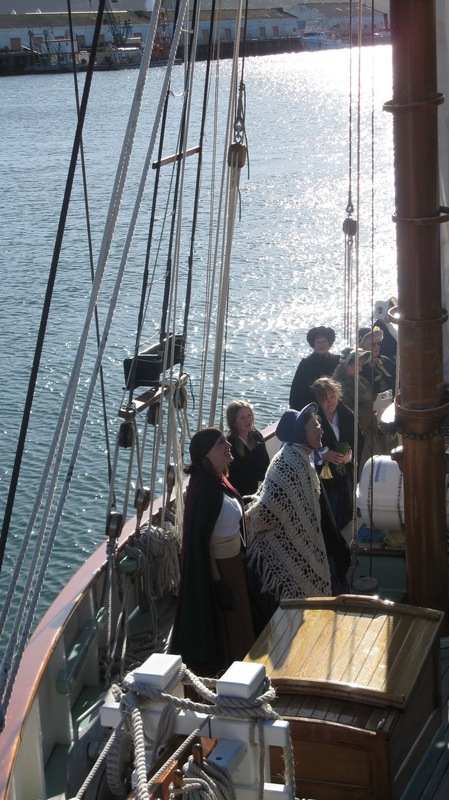 Today I visited a re-enactment of a sailing ship arriving at Otago Harbour, bringing a shipload of people dressed in 1860s attire. When they dismbarked they were welcomed by the Town Crier and a lone Piper. The hub of the city, the Octagon, was closed to traffic and a shanty town had been erected. There were miners, merchants selling their wares out of tents, ladies enjoying cups of teas, a salvationist minster preaching fire and brimstone, a drunken heckler, Chinese immigrants playing mah-jong, musicians, and ladies of the night. History came alive and for me it was like all my birthdays had come at once! Here's some more photos, I hope you enjoy them. Looks awesome! I'm glad you had fun. Wish I could have made it into town. The photos are great!! I enjoyed this and thanks for sharing! I've only been to Dunedin once, a very long time ago.